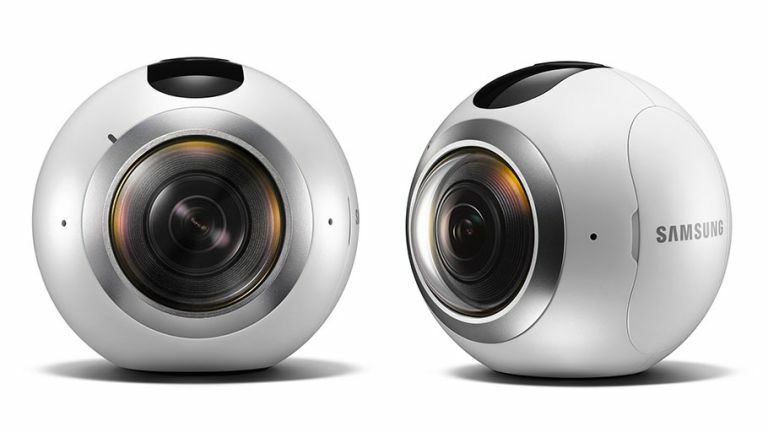 Samsung drops Gear 360 camera - shoot your own immersive VR video! • Update:Read our Gear 360 hands-on review here. We're impressed. As part of its drive into VR alongside Facebook-owned Oculus, Samsung today announced a 360-degree camera you can use to take your own fully immersive videos to play back onGear VR. The company also rolled out Mark Zuckerberg here at MWC 2016 to talk about Facebook's work on social VR apps, saying that "virtual reality is the intuitive next step for adding dimension to social media". Facebook has partnered with Samsung to work on Social VR apps. Zuckerberg was quite happy to point to the reasons why he believes Gear VR is the best VR platform. SamsungGear 360 is equipped withdualfisheyelenses,which both have 15 megapixel image sensors,giving people the ability to capturehigh-resolution (3,840x1,920)360-degreevideothat also supports 30 megapixel still images. You're also able to shoot 180-degree wide angle video and images using only one side of the camera lens. Images and videos are stored on MicroSD, and there's Wi-Fi, bluetooth and NFC built in. It will also support uploads to Google's Street View platform. The Gear 360 release date should towards the middle of the year. Liked this? Check out our VR headset showdown.